Cupcakes 'n Daisies: Market Finds . . .
Market Finds . . .
Who wouldn't love to have one of these hanging in their sewing room? I think I like the vertically challenged spools better than the all in a row ones. I think finding the perfect top and bottom spool fabric is the secret, any fabric would look good in the center. Here's another pattern that caught my eye. 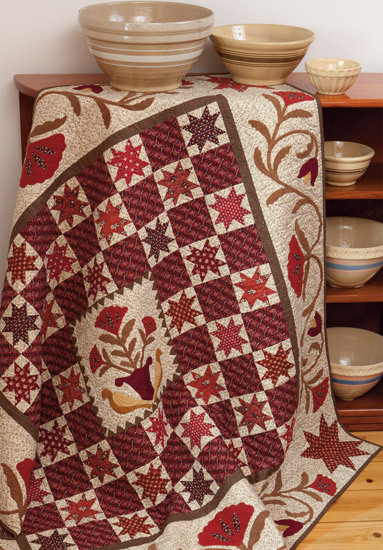 Rendezvous, designed by JoeWood for ThimbleCreek Quilts. 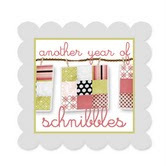 This is the same designer who created French Vintage, that gray and red quilt I finished a few quilts back. I think this quilt has to be a two color quilt and that the two colors have to be red and white! 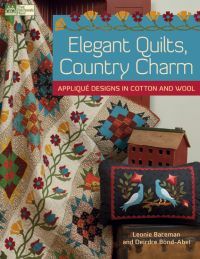 This book, Elegant Quilts, Country Charm is the first book by the Quilted Crow Girls, Leonie Bateman and Deirdre Bond-Abel. 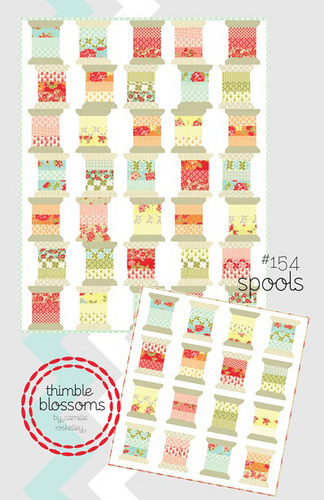 A couple of folks suggested a pieced and appliqué project for my 100th quilt. There are several projects of the 11 projects in this book that appealed to me. This is my favorite, Madder Stars. 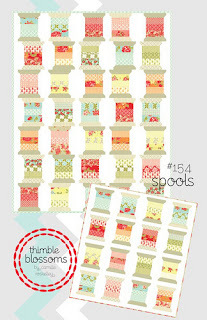 This book is available now, it may already be in your local quilt shop, or you can order it here. I liked all my usual designer fabric reveals, French General, Bonnie and Camille, Primitive Gatherings, but I also found a new designer with fabric that appealed to me, Song Bird by Carina Gardner for Riley Blake Designs. It's not my usual choice of fabric but I'll be waiting for it to arrive in stores in June, so I can get a better look at it. What's on your must have list from market? OMG! I saw the Madder Stars on Tara Lynn Darr's facebook pictures and, out of all the pictures posted, this was the only one I asked about. It is drop dead gorgeous! Thank you so much for identifying it. This books has pushed up the list of must haves. I love Bonnie & Camille's new line Marmalade. It is another excellent collection. So many yummy treats coming out! Settler's Trail - It's a Wrap, Finally!! Settler's Trail Update . . . Happy Ending . . . .
Evening Bloom . . .
More Setler's Trail Updates . 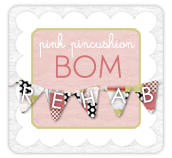 . .
BOM Rehab . . .
More Boring Settler's Trial Update Blocks . . . Some More . . . .
Back on that Tral . . . Done with Summer Fun . . .
Show Update - A Few Quilts . . .